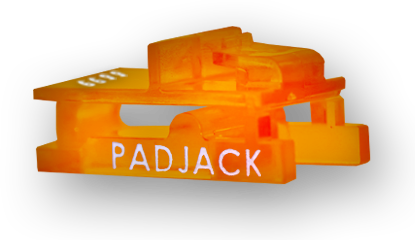 PadJack SVE incorporates the same technology used in the PadJack SV, with enhanced security features developed by the U.S. National Security Agency (NSA). It provides the highest level of physical network security. This version of the RJ45 lock is highly recommended for military and government facilities, data centers, banks, casinos, nuclear facilities, or any organization with mission critical data who is at a high risk of security breach. Data loss prevention is one of the most critical issues facing organizations. PadJack SVE can be used by any organization across any industry with mission critical data that needs to be protected. Military and government agencies, nuclear and energy-generating facilities, casinos and financial institutions are at high risk for internal security breaches. There are exposed network jacks throughout these facilities. PadJack SVE RJ45 lock physically restricts an unauthorized user with an endpoint device from gaining access to a network through an exposed jack. PadJack SVE RJ45 lock provides the highest level of physical network security, without adding complexity or impacting overall functionality. The PadJack SVE RJ45 lock is a safeguard measure to the network infrastructure on a physical level to prevent security breaches. It is an extra layer of network security and, as with all network security defenses, reinforcing layers provide the best protection. PadJack SVE is highly recommended for military and government agencies, banks and credit card processing facilities or any organization with mission critical data who is at high risk of security breach. PadJack SVE RJ45 lock snaps securely into any industry-standard RJ45 port, physically restricting and blocking cord access to unauthorized users and to prevent tampering, such as the insertion of a foreign object into the jack. The PadJack SVE requires no special tools for installation and can only be removed by physically destroying it. Once destroyed, the PadJack SVE RJ45 lock cannot be reinserted into another jack or port. 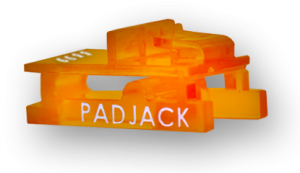 All PadJacks are serial numbered, making it easy for organizations to track secured jacks and ports. PadJack SVE RJ45 locks are available in custom colors, and can be ordered with your company’s name or custom imprint, although there is a minimum order requirement. Contact us for custom orders and we will gladly provide you with a quote. Still not sure which PadJack is right for your organization, please see the how to choose the right Padjack RJ45 lock.